Not everyone who owes money to the IRS is a cheat who is trying to get out of their obligations. Some people don’t pay because they can’t. They fall behind, and then their financial troubles are compounded by an audit from the IRS that adds interest and penalties to the tax that they already owed and couldn’t pay. If you find yourself in this situation, you may feel that there is no way out. You may fear losing your home, your business or some other assets. However, working with a tax lawyer may help you minimize or even eliminate that debt. In particular, your Scottsdale tax lawyer can help you file for an Offer in Compromise, which allows you to pay less than the amount you owe. To determine whether you qualify for an Offer in Compromise, the IRS will look carefully at all your assets, such as your home, vehicle, retirement accounts and savings accounts. The IRS will then discount the value of certain assets. The discounted value is then plugged into the Asset Equity Table. The IRS then determined what you disposable income is under the Income and Expense table to determine your ability to pay your tax. The Income and Expense table will look at your monthly expenses will be added to the table, as well, including your monthly housing expenses, other living expenses such as food and utilities, car or truck expenses, health care (including insurance payments and out-of-pocket expenses), taxes, and other payments. The difference in your assets, including your net income after expenses will be used to determine how much you can afford to pay back the IRS within a reasonable time frame. Those who have serious financial problems such as completing a bankruptcy and those who have no assets will have the best chance of success in filing for an Offer in Compromise. You can apply for an Offer in Compromise on your own, using the paperwork that the IRS provides. However, you’ll get a better outcome if you work with an experienced tax lawyer. Your attorney will help you identify all assets and expenses to ensure that you are putting together an accurate financial picture, and will help you to create the strongest case. Your attorney will also help you avoid any filing mistakes that can cost you big. 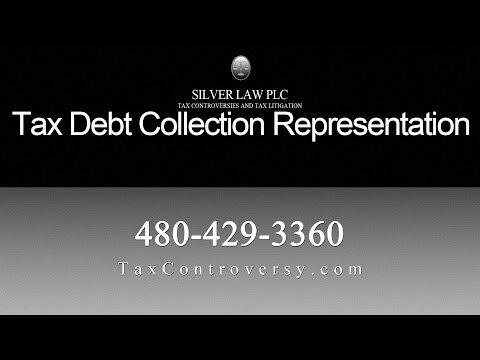 The attorneys at Silver Law PLC in Scottsdale are experienced in representing clients in all types of tax matters, and they have successfully helped many clients qualify for an Offer in Compromise to reduce their tax obligations. Your tax lawyer will thoroughly review your finances to let you know whether you should apply for the Offer or whether you should explore other options for reducing your tax burden. Whatever strategy you choose, your lawyer will help you through it every step of the way, increasing your odds of success. Call Silver Law PLC in Scottsdale today to discuss your case today.